I had the privilege of interviewing Dr. Nicole Rochester on my Empowered Family Caregiver podcast. Hear how and why Dr. Nicole left her 17-year medical career to work with families on the receiving end of medical care. We had a great conversation about the importance of and how to empower family advocates. Dr. Nicole offers some serious value with specific phrases to use with medical care professionals to get their attention. She also shares valuable tips for working with the healthcare industry to help your loved one get the best care possible while you are in the ‘know’ about how health care really works. During the “Take 5 With Tandy Round”, hear Dr. Nicole’s advice on how to reduce caregiver stress, how she found her best during what seemed like her worst, what she is grateful for and her sage advice for keeping hope alive. Click the link below to hear our entire chat. See below for interview highlights if there is a particular part you are interested in hearing. Listen to episode 28 of the Empowered Family Caregiver podcast with guest, Dr. Nicole Rochester, right here. Tune in @ 5:00 to hear Dr. Nicole’s powerful caregiving story and how this experience changed her life and turned her professional life upside down. Dr. Nicole helps families navigate the health care system one step at a time. Tune in @ 7:17 to get some mindset tips to empower the family advocate. Tune in @ 9:00 to uncover the importance of speaking up and how to stand up to and work with the medical community. Tune in @ 10:07 when Dr. Nicole shares powerful and specific phrases caregivers can use to really get a caree’s medical team to LISTEN. Tune in @11:30 for practical ways to your voice in powerful ways for maximum impact. Tune in @ 13:00 to hear Tandy’s best practices with navigating the medical community with a loved one. Tune in @ 15:35 for transition of care feedback. Learn why discharge planning happens at ADMISSION. Also learn about discharge criteria and how you can leverage this to help your loved one. Tune in @ 17:42 to get Dr. Nicole’s best tip for family caregivers. Tune in @ 18:40 to learn who you should work with at the hospital for continuity of care and discharge planning. Tune in @ 21:00 for alternative ideas to communicate with doctors when you aren’t physically nearby. Tune in @ 23:00 for Dr. Nicole’s story about her decision to leave the medicine. Tune in @ 25:30 to hear more about Dr. Nicole’s caregiving story. Tune in @ 28:00 for fear of failure lessons Dr. Nicole went through. Tune in @ 34:18 to hear how important caregivers are. Tune in @ 35:08 where Dr. Nicole shares her best piece of advice to reduce caregiver stress. Tune in @ 36.17 to get Dr. Nicole’s best advice for new caregivers. Tune in @ 40:00 as Dr. Nicole shares what she’s grateful for right now. Tune in @ 41:00 as Dr. Nicole shares what she would tell someone to keep hope alive. Dr. Nicole is a Keynote speaker for the Third Annual Family Caregiving Conference in Chicago, November 9th and 10th. Learn more about Dr. Nicole and her NCC18 presentation HERE. 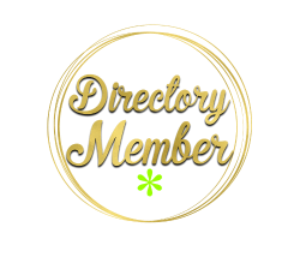 Dr. Nicole T. Rochester is a physician expert on health care navigation, patient and family caregiver advocate, speaker, author, blogger, and the CEO of Your GPS Doc, LLC. She is a board-certified physician and Clinical Assistant Professor with over two decades of experience teaching and practicing medicine. As a caregiver to her late father, who suffered from dementia, diabetes, hypertension, end-stage kidney disease, depression, and heart disease, Dr. Rochester witnessed the disjointed health care system from the other side of the stethoscope and gained invaluable insight into the plight of patients and family caregivers. Dr. Rochester served as the medical interpreter and patient advocate for her dad during critical and sometimes frustrating encounters with healthcare professionals. She realizes that most patients and families do not have access to this “inside knowledge” and has made it her personal mission to help others navigate the health care system through her creation of Your GPS Doc, LLC. Dr. Rochester is a member of the Alliance of Professional Health Advocates. Dr. Rochester offers private patient advocacy and healthcare navigation consulting services. She also shares her knowledge and insight through her blog, workshops and seminars, and regional and national conferences. Dr. Rochester is known for her engaging personality and has a knack for explaining medical issues in easy-to-understand language. To schedule a free 30-minute call to find out how Dr. Rochester can help you and your family, go to www.calendly.com/yourgpsdoc.